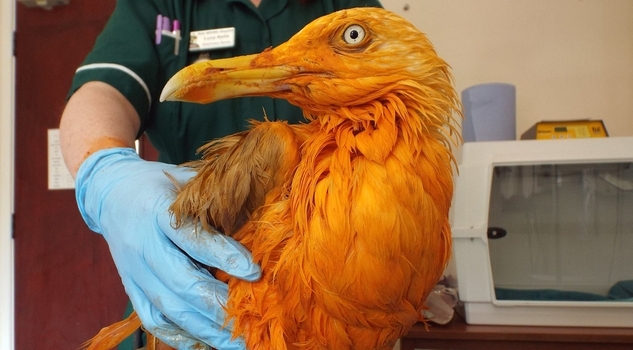 A hungry seagull had an accidental makeover after it fell into a huge vat of chicken tikka masala curry - and came out dyed bright orange. 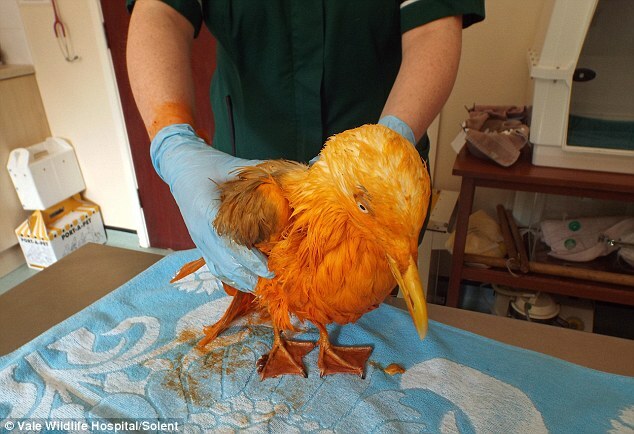 The bird swooped down onto a container of 'waste' curry that had been left to cool outside a factory in Wales. Perched on the side, it was trying to fish out bits of meat when it slipped and tumbled into the sauce. 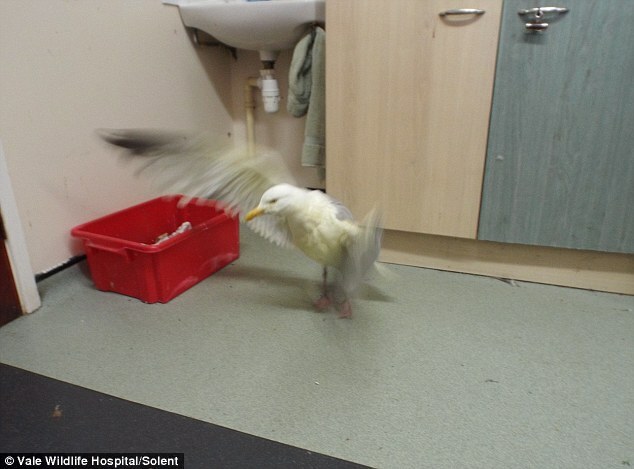 Thankfully, workers found the beleaguered Herring seagull and handed it over to rescuers from animal charity animal charity Vale Wildlife Hospital and Rehabilitation Centre. 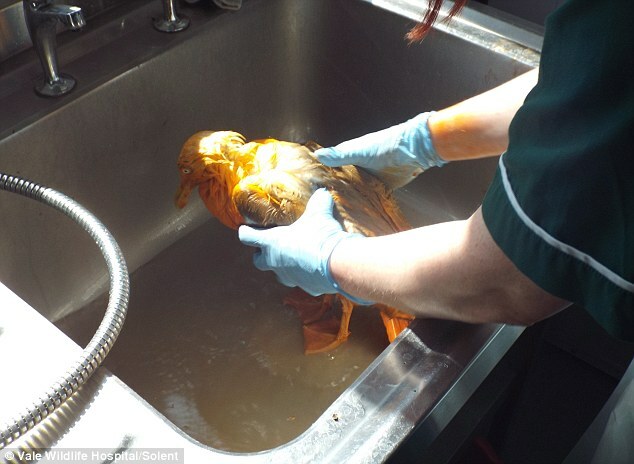 It had to be thoroughly cleaned to stop the curry damaging his feathers and is now being nursed back to full-health at the centre near Tewkesbury, Gloucestershire, until it can be released back into the wild. The colour of tikka masala comes from a mix of spices, including turmeric, which has a yellow pigment and tomato puree and paprika, which give off a red colour. 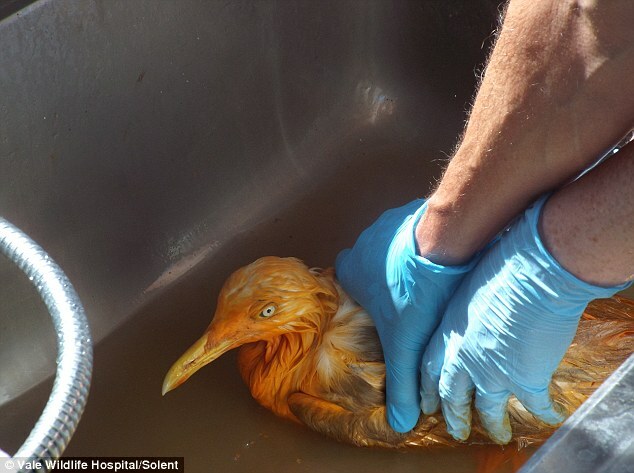 Responses to "Hungry seagull is rescued after falling into a huge vat of curry"